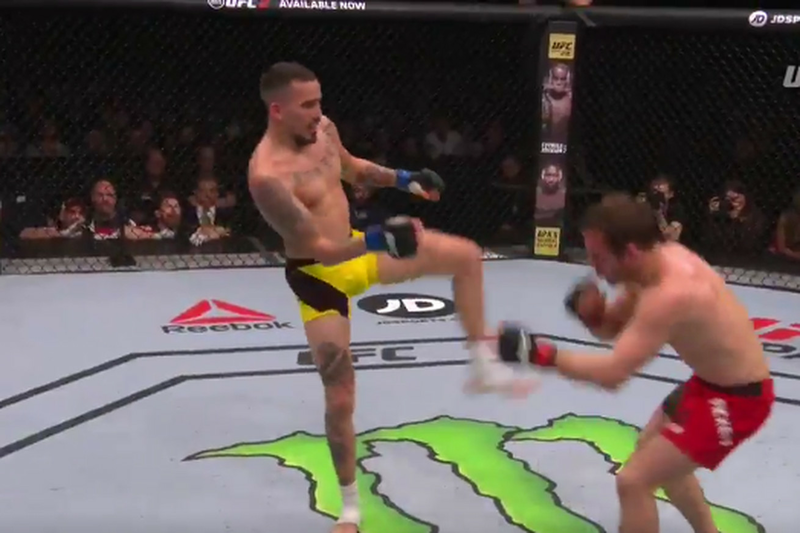 Brad Pickett was well on his way to the fairytale ending he was hoping for and then Marlon Vera upset those plans. Vera had lost a competitive two rounds to Pickett but in the third he came out firing and landed a head kick to knock out the English MMA pioneer at UFC Fight Night 107 on Saturday in London. The win moves Vera up to 9-3-1, going 3-2 in the UFC. Pickett retires from the sport of MMA with a record of 25-13. Fightweets: Who deserves the next shot at Fabricio Werdum’s UFC heavyweight title?